My examination of Deathtrap: The Vault was supposed to post today, but I ran into some difficulties finding a digital copy of the issue for the purpose of including images (note to Marvel: even if you don't want to make this available on Marvel Unlimited, I still would have paid for a digital copy if you'd have let me), so that will have to wait until a later date (continuity-wise, in only needs to occur prior to the disbandment of Freedom Force in the '91 annuals). Unfortunately, I don't have anything else to offer in its place. I'm working on the six month look ahead schedule, which should be up in a few days, but otherwise, we're still in vacation mode here at Gentlemen of Leisure. 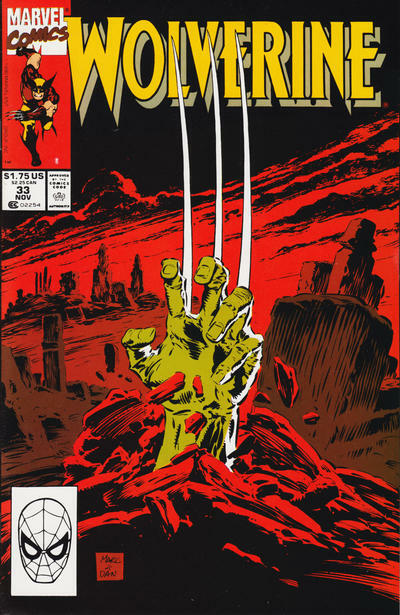 Next week, we'll return to our regular schedule, beginning with Uncanny X-Men #276. Until then, I dunno, re-read a favorite old review? The details of how Wolverine received his adamantium skeleton. Downtrodden Canadian secret agent Logan is targeted by a mysterious group conducting Experiment X. He is captured and, against his will, undergoes an extremely painful process in which adamantium is bonded to his bones. 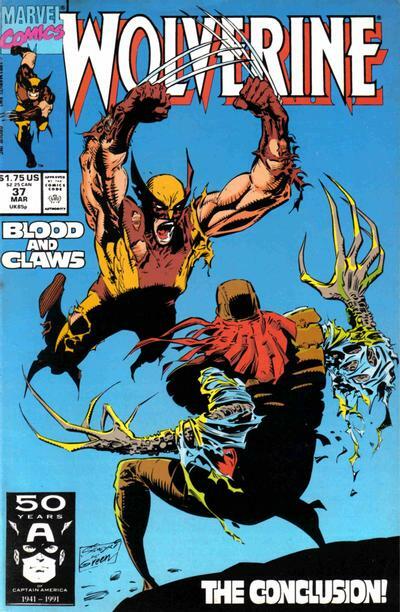 Unbeknownst to everyone involved, Logan is a mutant, whose ability to heal quickly helps him survive the process. He also unexpectedly develops three adamantium claws on each hand. 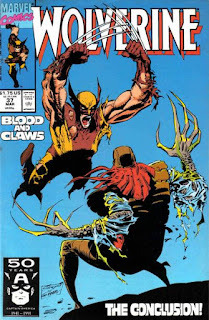 In the aftermath of the bonding process, the leader of the project, a man known as the Professor, attempts to condition the nearly-savage Logan, altering his behavior, honing his fighting skills, and making him loyal to the Professor. Following an extended virtual reality scenario in which Logan believes he's hunted down and killed the Professor, chief scientist Dr. Cornelius, and Cornelius' assistant Miss Hines, he's noticeably more calm and docile. However, realizing what he's become, he attacks his handlers, fighting his way into the facility and to the Professor's lab, before departing alone into the snowy wilderness. Excalibur battles Arnim Zola alongside Silver Sable's Outlaws. Called to the Darkmoor Research Center, where Captain Britain once studied, Excalibur meets with Captain Britain's old mentor, Professor Walshe. But before he can tell them why he called them, the facility is attacked by Silver Sable and her Outlaw mercenary group, who claim the professor has stolen Symkerian technology. As Walshe denies the accusation, a fight breaks out between the two teams, until Shadowcat and Prowler discover the stolen tech in the facility. Walshe then admits he has been using the tech to experiment with clones, desperate to find a way to save humanity from the potential fallout of nuclear war, before revealing himself as a former vessel of the geneticist Arnim Zola. 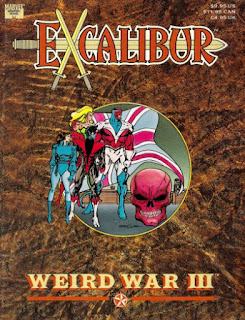 Excalibur's world merges with the Lightning Squad's Nazi-dominated world. Rachel wakes screaming from a nightmare, drawing the attention of her teammates, whom she starts to see as their counterparts in the Nazi-centric Lightning Squad, and shortly thereafter, a brusque Alistair summons them to register with the government. Meanwhile, Herr Xavier discusses his plan to experiment on mutants in order to elevate man to the next stage of evolution by creating the X-Man. As Red Skull visits an aging Hitler, expressing his concerns over Xavier's agenda, Excalibur is called before the Prime Minister, and after a fight breaks out, Excalibur is handed over to the Reichminister of Genetics, Moira MacTaggert. Arriving on Muir Island, Excalibur is attacked by the Reichsmen, before Moira explains that she is the Moira from Excalibur's reality, and that their reality is merging with the Nazi-dominated reality of the Lightning Squad, with the more dominant personality between the two realities controlling a single body. 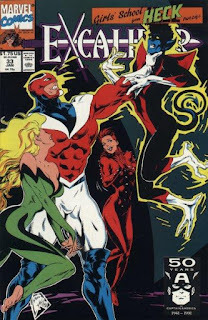 Disguising them as the Lightning Squad, Moira sends Excalibur off to stop Xavier. 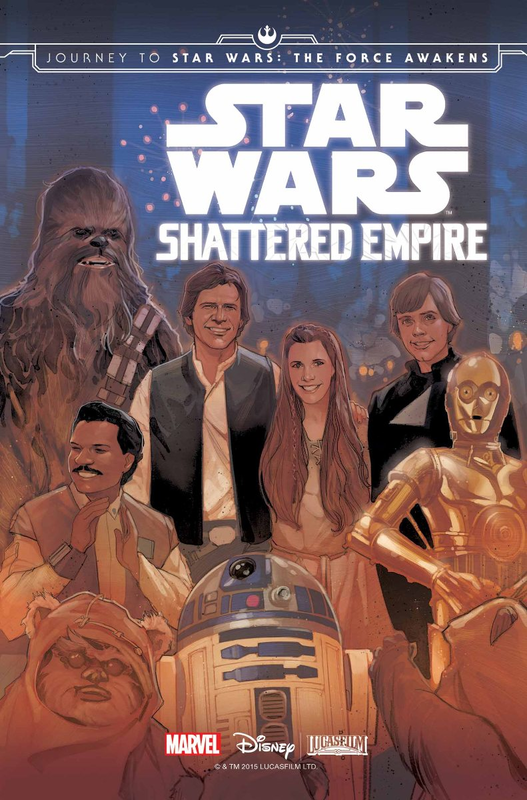 Even moreso than Shattered Empire, Chuck Wendig's Aftermath suffers under the weight of expectations. 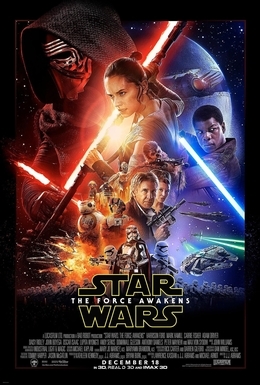 The novel counterpart to Shattered Empire's comic book series (in that it is the first novel, rather than comic book, of the new canon set after Return of the Jedi), it not only being billed as an important stepping stone towards the world of The Force Awakens, but the circumstances of its release automatically put it into comparison to Timothy Zahn's novel, Heir to the Empire. But not only was Heir the first post-Jedi novel of the old Expanded Universe (it certainly wasn't the first original fiction Star Wars novel, but it did kick off the modern resurgence in Star Wars that hasn't abated since and is generally considered to have begun what fans think of when they think "Expanded Universe), it also remains, to this day, the most acclaimed of Star Wars novels, routinely considered both the best of the lot and most fans' favorite. 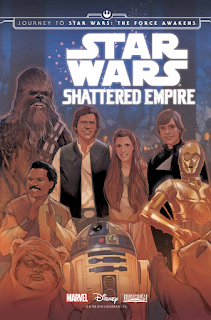 Aftermath, then, is cursed twice over; before even a word was written, it was setup to both tell a new version of events post-Jedi and detail those events in a way comparable to everyone's favorite Star Wars book. Of course, it fails to live up to Heir, but that's not entirely its fault: nothing in this day and age could, and to Wendig's credit, he doesn't try to live up to it; the story he tells is an entirely different beast than Heir, at times both more and less concerned with the big picture of the galaxy than Heir was. And as much as this book invites circumstantial comparisons, it's also been released under vastly different circumstances: it's not ending a drought of new Star Wars stories, and it exists as but one narrative brick (albeit a large one) in a house that is being very carefully constructed, whereas Heir was written and released with relatively little oversight by LucasFilm, while most of the people reading Aftermath (especially the ones being overly-critical of it) are much older, with many more Star Wars stories under their belt, than when they first encountered Heir. 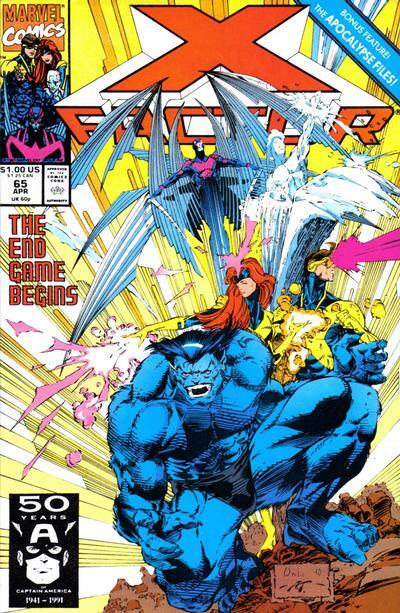 "Endgame Part 1: Malign Influences"
Apocalypse sends his Dark Riders against X-Factor & Ship. 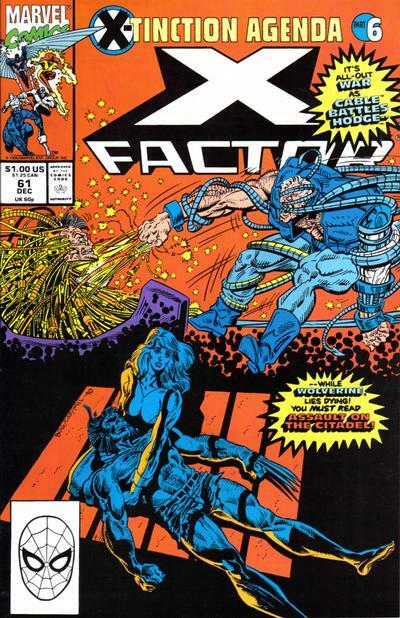 Following a brief hiccough in Ship's systems, Cyclops leads X-Factor in a training exercise which is watched, unknownst to them, by Apocalypse and his new team of henchmen, who are told that their target is not X-Factor, but rather Ship. 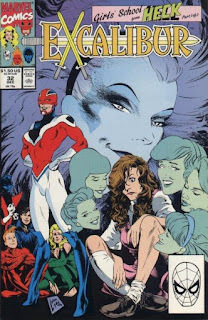 After the training session, Archangel visits Charlotte Jones and Iceman visits Opal, while Cyclops expresses his dissatisfaction with the team's performance to Jean, telling her he doesn't want any more of his friends and teammates to die. 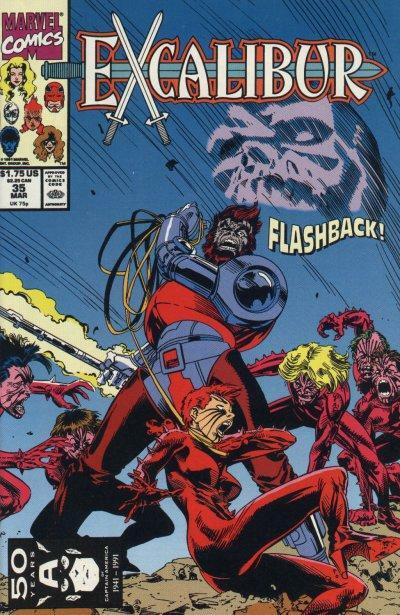 Later, as Cyclops and Beast are discussing the results of Beast's diagnostic on Ship, Apocalypse's henchmen crash their ship into Ship and proceed to attack X-Factor. The final issue of the series. Responding to an intruder alert, the New Mutants discover a strange, sword-wielding figure in the Danger Room. 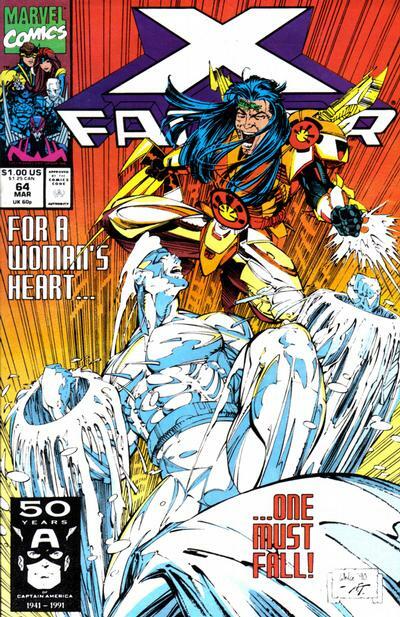 Calling himself Shatterstar, he attacks them, and it falls to Cable to subdue him, all of which is observed by Feral. As the New Mutants leave the Danger Room, three strange armored figures suddenly appear, at the same time that Masque and a pair of henchmen infiltrate the mansion, searching for Feral. 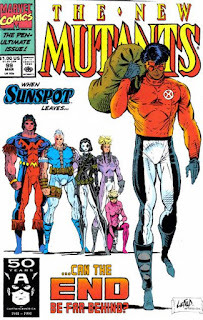 In the infirmary, Shatterstar regains consciousness and explains that he hails from the Mojoverse and is part of a rebellion against Mojo V. Seeking the help of the X-Men, he was sent to Earth, but arrived disorientated and overwhelmed when the New Mutants first discovered him. Going to the kitchen, Boom-Boom discovers Feral, and she begs the New Mutants for their help against Masque. Just then, the armored soldiers find Shatterstar, and he explains they're members of the Imperial Protectorate. The X-Men help Lilandra reclaim her throne while Rogue & Magneto defeat Zaladane. The Starjammers board Deathbird's flagship and encounter the Imperial Guard. 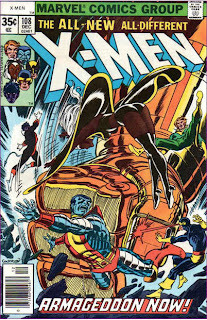 In the ship's lower decks, the X-Men take advantage of the distraction to free themselves from Deathbird's manacle pet. 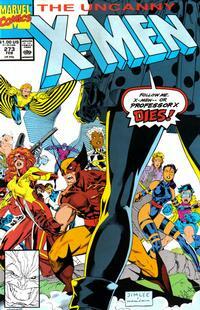 Pursuing Deathbird, the X-Men encounter Lilandra, and join the fight against the Imperial Guard. In the wake of their victory, the X-Men are introduced to the Shi'ar warlord, who turns out to be Professor X. In the Savage Land, the SHIELD force prepares to assault Zaladane's citadel, but Colonel Semyanov betrays them, blasting Magneto out of the sky as Zaladane's air force attacks. 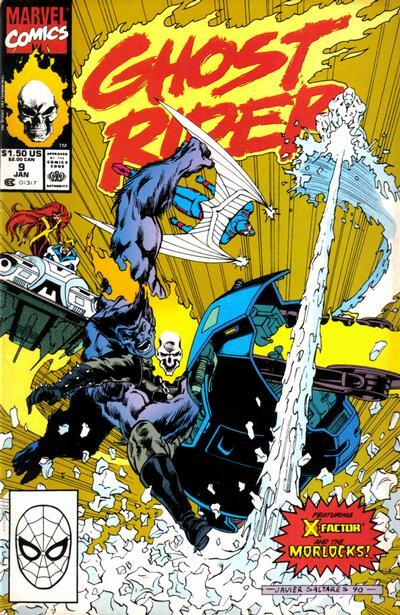 Crashing in the jungle, Rogue is reunited with Ka-Zar and Nick Fury, the only apparent survivors of the attack, and they proceed to the citadel. Meanwhile, Zaladane begins the process of transferring all of Magneto's power to herself. 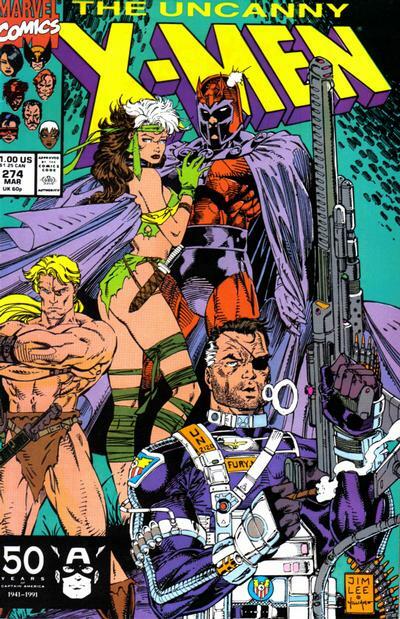 Sneaking inside, Rogue, Ka-Zar and Nick Fury interrupt the process, freeing Magneto as they battle the Mutates. Shattered Empire (whose full title is the mouthful Star Wars: The Journey to The Force Awakens - Shattered Empire) is series that, like the novel Aftermath (which we'll look at next week) suffers under the weight of expectations. Billed as the new story of what really happened after Return of the Jedi (with all the old stories that did the same now rendered non-canonical legends in the wake of Disney's acquisition of LucasFilm), anyone picking up this series expecting a sweeping overview of galactic history that tells exactly what Luke, Leia, Han and their friends were up in the thirty odd years between Jedi and the upcoming Force Awakens will be disappointed. But put aside those expectations, and what remains is an effective and entertaining little story, even if it is a bit sparse on those "historical" details. 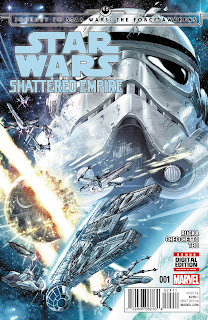 Rather than focus on the Star Wars Big Three, the central character of Shattered Empire is Shara Bey, a Rebel pilot who flew in the Battle of Endor, and is the mother of Poe Dameron, the character played by Oscar Isaacs in the new movie (his father, Kes Dameron, appears briefly in the first and last issues). 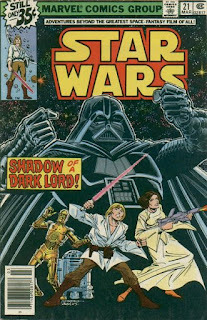 Through a variety of different circumstances, Shara ends up working alongside the Big Three in various capacities (she volunteers for the task force assembled by Han to hunt down Imperial remnants in the wake of Endor, ends up serving as a pilot/bodyguard for Leia on a trip to Naboo, and joins Luke on an important mission in the series finale), but she remains the central POV character, with the Big Three slotted in as supporting characters, at best. 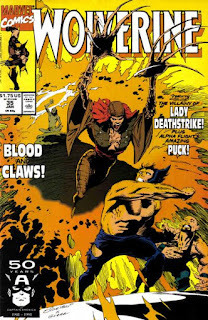 "Fall Back & Spring Forward"
Wolverine, Lady Deathstrike and Puck return to the present. 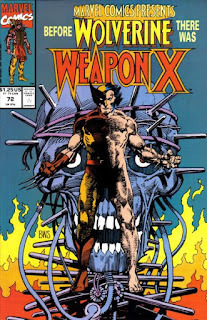 Defeating the Nationalist forces sent against him, Wolverine cries out to Lady Deathstrike, telling her to show herself so they can finish this. Having climbed up the sheer face of an overhead cliff, Lady Deathstrike leaps down, attacking Wolverine as a time vortex pops up nearby. When Wolverine tosses Deathstrike towards the watching Nazi tank, she attacks it in a rage, destroying the vehicle and killing Hauptmann Schlachter, causing the time vortex to grow bigger. 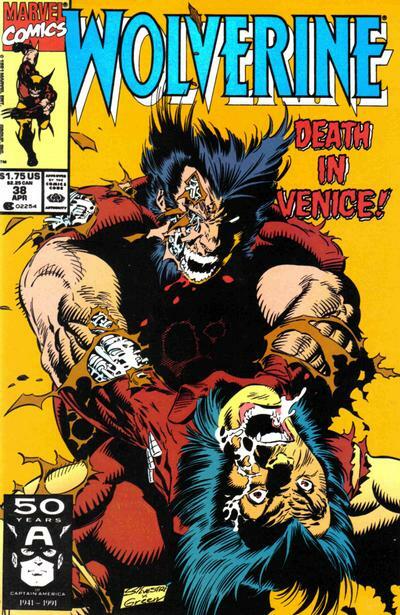 On the south side of the pass, the injured Puck suddenly wakes up and rushes back towards Wolverine, not wanting to be left behind in the past. 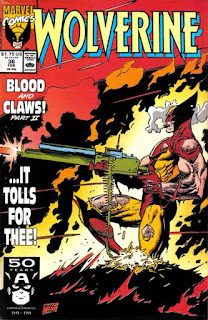 In the present, Pierce is completing work on his latest project when the time vortex appears and spits out a piece of paper with the name and location of Wolverine and Deathstrike's fight. Using that information, Pierce realizes that everyone the time travelers have killed were destined to die in the pass or during the war, except for Schlachter. 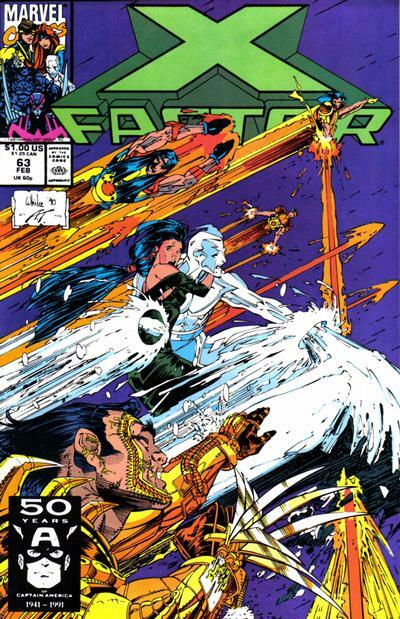 X-Factor and Ghost Rider rescue children kidnapped by Morlocks. Ghost Rider stops Blackout from killing an innocent bystander, but is then attacked by agents of HEART before being rescued by a Morlock, who promises to take him to some missing children. Meanwhile, X-Factor hears a news report about a rash of recent kidnappings in the city, and decides to investigate. Below the city, the Morlocks insist they've taken the children for their own good, but with dawn approaching, Ghost Rider must leave before investigating further. The next night, X-Factor arrives in Cypress Hills, the scene of the last reported kidnapping, while Ghost Rider is in the area, pursued once again by HEART. Abandoning his bike, he journeys once more into the Morlock tunnels and meets Pixie, a Morlock who has been deformed by Masque and led the charge to kidnap the children in order to save them from Masque, who intended to do the same to them. 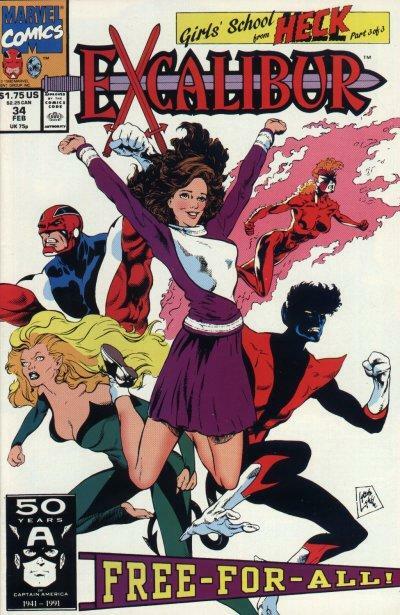 "The Pryde of the X-Men"
Kitty Pryde joins the X-Men and helps defeat Magneto's plan to use a comet to wipe mankind off the planet. The morning after the White Queen breaks Magneto out of a military convoy, Kitty Pryde arrives at the mysterious Xavier's School for Gifted Youngsters. 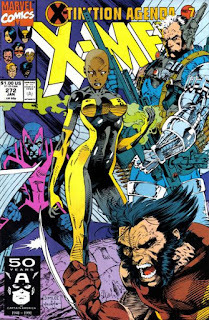 She is greeted by a mental projection of Professor X, who leads her deeper into the school, confirming that she is in fact a mutant, and introducing her to the X-Men as they train in the Danger Room. Just then, a Stage Two Mutant Alert signals, and the X-Men rush off to investigate, despite Cyclops' reservations about leaving Professor X and Kitty behind alone. As they leave, Magneto orders Juggernaut into the mansion. The X-Men arrive at the Deep Space Observatory, where Blob and Pyro are holding a family hostage. 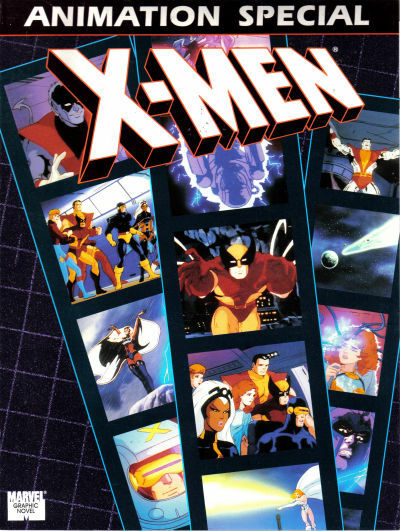 They manage to free the family but the mutant terrorists escape, while back at the X-Mansion, Magneto and Juggernaut make short work of the mansion's defenses.Telepathically sensing that Magneto is after Cerebro's mutant power circuit, Professor X gives it to Kitty and tells her to protect it while he holds off the evil mutants. But Magneto overpowers Kitty and makes off with the circuit. A flashback tale of Obi-Wan Kenobi's efforts to save a ship from pirates. Dropping out of hyperspace to make repairs, the Millennium Falcon is attacked by a pair of TIE Fighters. To destroy them, Han uses a trick which Leia says was a favorite of the Jedi for centuries, recalling a specific instance in which Obi-Wan Kenobi used it as well, a story her father told her. 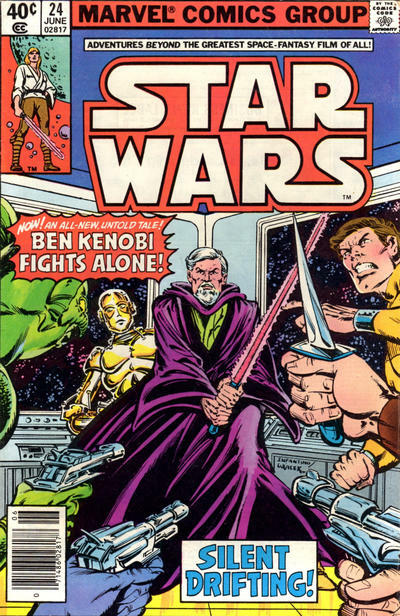 While hitching a ride aboard a pleasure cruiser, Obi-Wan is befriended by a droid named 68-RKO, en route to enter the service of Bail Organa. 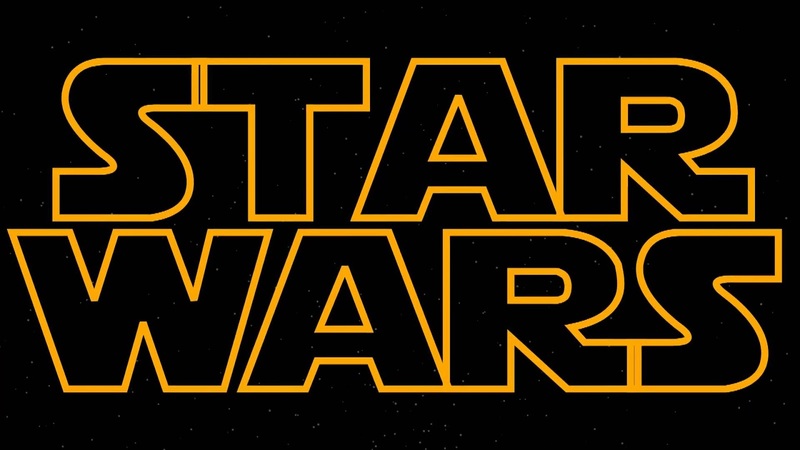 Their conversation draws the ire of one particular droid-hating passenger, who attacks Obi-Wan. 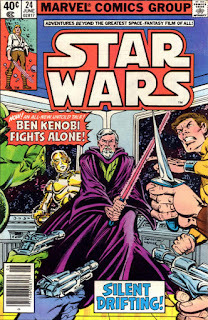 The ease with which he dispatches his foe then attracts the attention of known criminal Augustus Tryll, who offers Obi-Wan a partnership, which the Jedi turns down. Just then, the ship drops out of hyperspace as it approaches the Merson asteroid belt, and all passengers are ordered to take measures to avoid detection by the pirates which patrol the belt. 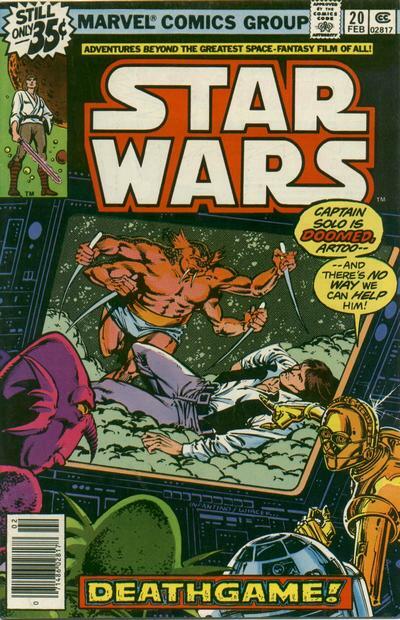 Later, Obi-Wan is summoned by the captain, and learns the pirates have detected the ship despite their security measures. 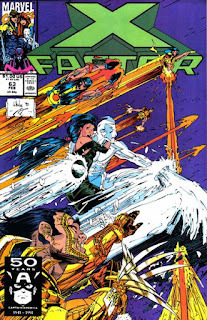 Iceman battles Hiro to free Opal. 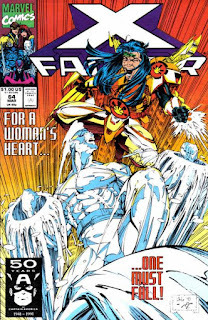 In the wake of their failed rescue attempt, Iceman rushes off to storm Tatsu'o's stronghold himself. Some time later, Hiro approaches Opal at the graveyard on Tatsu'o's estate, and at her insistence, tells the story of her parents and how Opal came to live in America. Another evening later, Opal attempts to escape the compound, but is stopped by Tatsu'o. Enraged when he realizes Hiro has told Opal about her parents, he declares he will choose her husband himself and that she will await that marriage in a cell, then proceeds to detain Hiro as punishment, leading the remaining two Cyberwarriors to believe they are next in line for Tatsu'o's favor. But when Iceman launches his attack on the stronghold, they are shocked to discover Hiro will be leading their defense, as Tatsu'o has spared him due to Opal's apparent feelings for him. "The Beginning of the End: Part Two"
Roberto quits the team and James Proudstar joins it. Beneath Manhattan, a Morlock named Feral refuses to join Masque's army, then flees through the tunnels until she finds an access hatch to the surface. Meanwhile, Cable meets James Proudstar, having left the Massachusetts Academy, for lunch and offers him a place with the New Mutants. He declines, saying he's returning home to his reservation, but Cable insists the time for not choosing sides is over, and leaves the offer standing. Unbeknownst to Cable, Gideon watches their meeting from afar, then returns to Roberto, helping him realize that he needs to leave Xavier's school to run his father's business. Back at the X-Mansion, Boom-Boom shows Cable Rictor's note, and though Sam argues they should go after him, Cable says that Rictor made his own choice. Later, James returns to his home at Camp Verde to find the place destroyed and his people massacred. Finding a Hellfire Club mask amidst the wreckage, he declares vengeance on Emma Frost. Magneto & Rogue battle Zaladane in the Savage Land. In the wake of attacks launched by Zaladane, the UN authorizes a SHIELD force to enter the Savage Land to stop her. In the Savage Land, Magneto, Rogue and Ka-Zar shortly thereafter come across the wreckage of the force, brought down by Zaladane's power and the natural resistance of the Savage Land to higher-order electronics. Just then, they're attacked by the Savage Land Mutates, sent by Zaladane. Magneto overpowers them, but leaves them alive at Rogue's insistence, then all three return to Magneto's citadel. Studying Zaladane's power, Magneto realizes she will cause irrepable harm to the planet's biosphere if not stopped. That night, Rogue awakens Magneto as Zaladane and her forces attack the citadel. Magneto is easily overpowered by Zaladane, and her troops threaten to route Ka-Zar's until the SHIELD unit, led by Nick Fury, emerges from the jungle and turns the tide, driving them off. 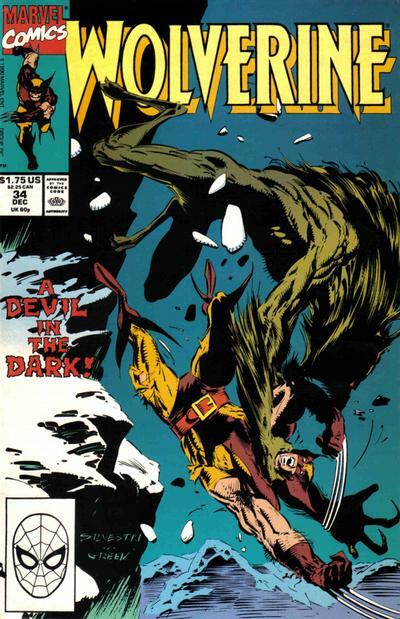 Lady Deathstrike stalks Wolverine during the Spanish Civil War. Heading for the partisan rebels hiding in the hills outside the city, Wolverine, Puck, Ernesto and Inez race through the streets of Guernica, with Wolverine single-handedly talking out a machine gun nest along the way. Meanwhile, Lady Deathstrike is hung by the Nazi's which captured her, but easily breaks the rope then introduces herself to them, not hiding the fact that she's from the future. 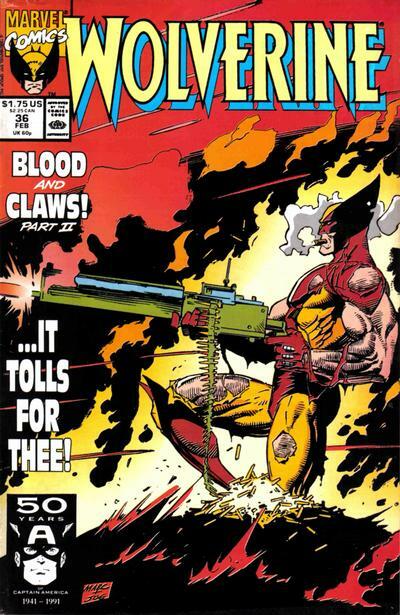 In Australia, in the present, the Reavers experience a sudden time vortex, and Pierce realizes that Gateway has sent Deathstrike and Wolverine into the past, and that she could be threatening their existences. In the past, in Spain, Wolverine and his friends reach the partisan camp, while Lady Deathstrike promises the Nazi captain that if they can bring Wolverine's adamantium skeleton to her father, a pilot cadet in Japan, he can create an army of super-soldiers for Germany. Hey! Guess what? I’m finally officially moved AND I have internet and cable again. Fun! This means I can watch and review The Walking Dead again. Of course, I’m a few episodes behind so I’ll try to catch up. However, you’re probably already caught up. I’ll make sure to write my reviews before watching the next episode so that means you’ll be able to laugh at how incorrect my wild speculations and predictions are! "Big Trouble on Little Earth!" / "Where Monsters Dwell (or is it ... Where Creatures Roam?)!" / "Eggs Got Legs! ...or Love Conquers All!" A renegade Skrull recruits a New Fantastic Four to unknowingly help her acquire a weapon to use against the Skrull Empire. Issue #347: Fleeing pursuit, a renegade Skrull named De'Lila crashes on Earth shortly after the Fantastic Four's return from an inter-dimensional journey through time. 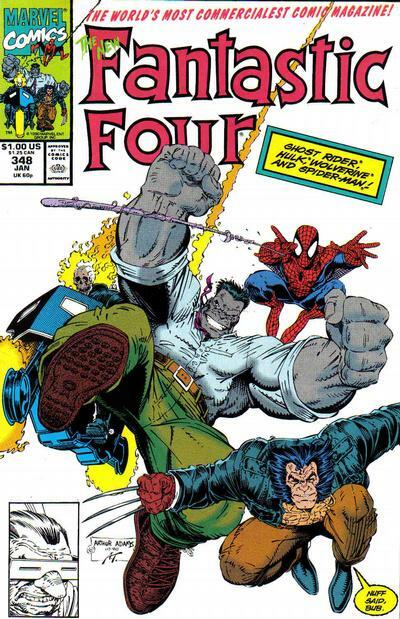 De'Lila, using her shapeshifting abilities, proceeds to infiltrate Four Freedoms Plaza and take out the Fantastic Four one by one. Meanwhile, the Skrulls pursuing her arrive on Earth and are drawn to Monster Island by readings which suggest the monsters which dwell there share some Skrull DNA. They proceed to send the monsters out into the world to flush out De'Lila. De'Lila, in the guise of Invisible Woman, puts out a call for help, to which Hulk, Wolverine, Spider-Man and Ghost Rider respond. Though reluctant to help her at first, they acquiese upon seeing the apparent dead bodies of the Fantastic Four, and agree to become a new Fantastic Four to avenge them. Issue #348: The New Fantastic Four depart Four Freedoms Plaza, using a device provided by De'Lila which they believe will lead them to the source of the attacking monsters and the murderers of the real Fantastic Four. En route, they stop a monster attacking a plane over Washington, D.C., then proceed to follow it to Monster Island. On Monster Island, Mole Man has captured the Skrulls pursuing De'Lila just as the new Fantastic Four arrive and proceed to interrogate them, learning of De'Lila, including her telepathic powers, which made duping them easier. 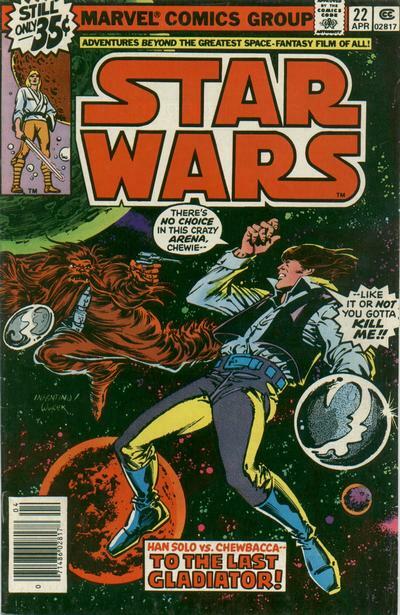 Han and Chewbacca attempt to survive the Wheel's arena. 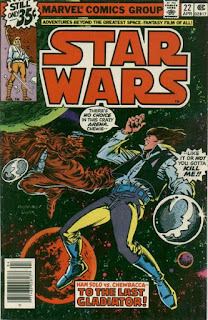 In the zero gravity environment of the Wheel's arena, Han and Chewbacca team-up against the other combatants, much to Commander Strom's costernation. But Senator Greyshade points out that they both signed contracts to participate, which state that the matches are to the death, and can have only one winner. Should they fail to abide by those rules, both can be killed. Just then, Strom passes out, the result of the drugged drink given to him by Greyshade. Elsewhere, Luke, Leia and the droids continue to follow Greyshade's security forces, taping their reclaimation of the funds stolen by the Imperials in the name of the Rebels. But they're spotted and a fight breaks out, which ends with the arrival of Greyshade, who ushers the Rebels aboard his private yacht at gunpoint. Iceman and Marvel Girl go to Japan to rescue a captive Opal. While out on a date, Opal and Bobby are attacked by a group of Japanese men with cybernetic implants, who were sent by their master to retrieve Opal. They toss a surprised Bobby out the window of the high rise restaurant as Opal fights back, but she only manages to tear away one of their insignia. The cyber warriors' leader, Hiro, tells Opal they're taking her back to her grandfather, then they all teleport away. Outside, Bobby ices up and returns to the restaurant, picking up the insignia left behind. He takes it to Opal's parents, who recognize it as the insignia of the Tatsu clan, and explain that they adopted Opal as a way to free her from her grandfather, though they were unable to save her birth mother. In Japan, Opal's grandfather Tatsu'o tells her she is to marry one of his cybernetic warriors and provide him with an heir, and Opal meets her birth mother. Back in New York, Bobby prepares to head to Japan, insisting on going alone but ultimately acquiescing to Jean accompanying him. 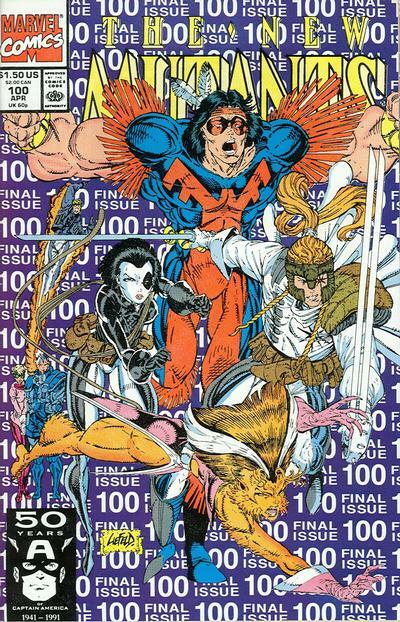 "The Beginning of the End Part One"
Gideon, Deadpool & Domino make their first appearances as Rictor quits the team. In Colorado, the mysterious Gideon hones his mutant ability against a group of combat droids, then tells his assistant to inform Eve to proceed as planned with Emmanuel Da Costa. At the X-Mansion, Cable and Cannonball train together, while at the headquarters of Da Costa International, Eve delivers Emmanuel his coffee. Drinking it, he dies. At the X-Mansion, Rictor complains to Boom-Boom about leaving Rahne behind in Genosha, just as Cable is attacked in the library by a masked mercenary named Deadpool, sent by Mr. Tolliver to kill him. 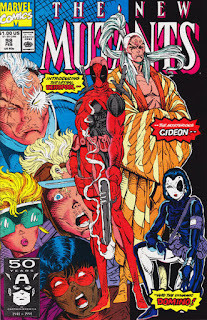 Cable and the New Mutants, drawn by the commotion, fight back, but it's ultimately a mysterious woman named Domino who defeats the attacker, answering Cable's request for help. 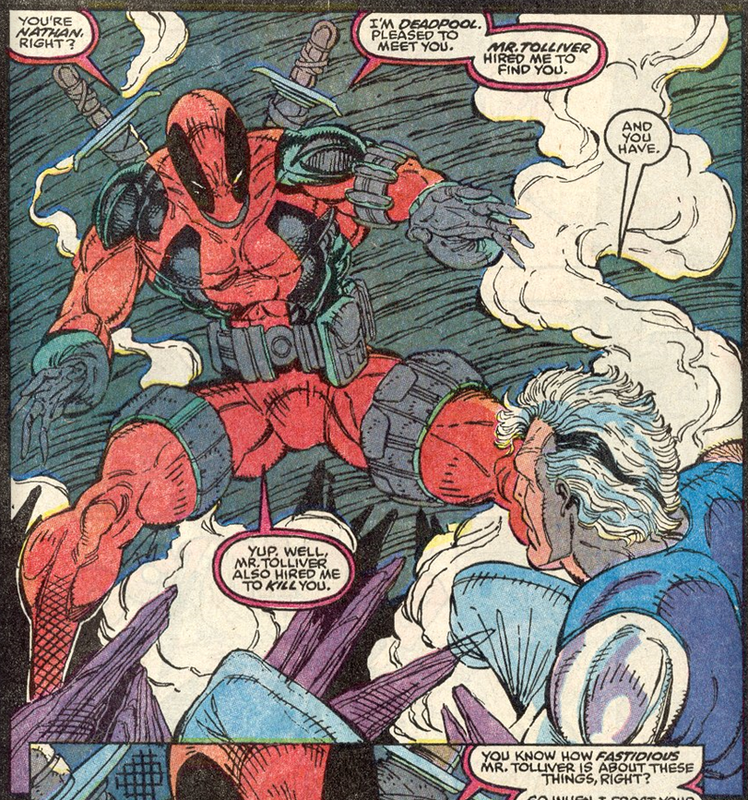 Later, after mailing Deadpool back to Tolliver, Cable and Domino go over a list of former New Mutants, ultimately deciding they aren't left with much to work with, though Cable says he's taking steps to remedy it. That night, Rictor takes off on his own, leaving a note for Boom-Boom explaining that he's going to Genosha for Rahne. Later, Gideon steals into Roberto's room, waking up his old friend with the news that Roberto's father has died of a heart attack. "Too Many Mutants (Or Whose House Is This, Anyway?)!" The gathered X-teams debate their future. 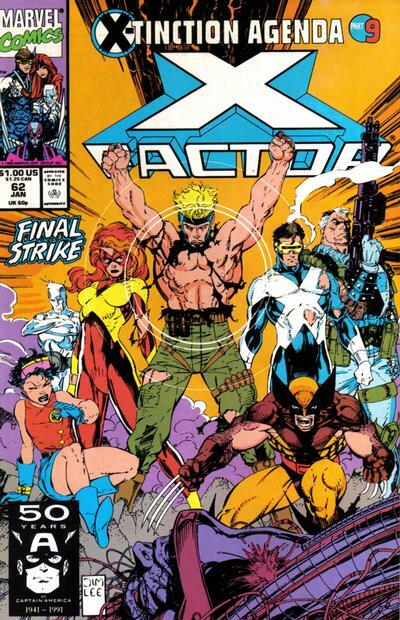 With all three teams gathered at the remains of the X-Mansion, Storm, Cable, Cyclops & Marvel Girl debate their next course of action, with Cable insisting that they need to strike hard and fast at their enemies, while the others counter that Professor Xavier never intended for them to be soldiers. 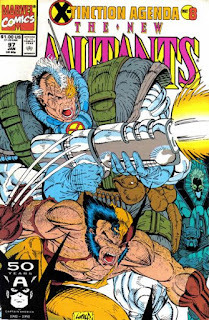 Eventually, Cable storms out, proclaiming that whatever course of action they take, somebody needs to step up, leaving the rest to ponder whether they're still fit caretakers for Xavier's dream. Meanwhile, Banshee contacts Moira MacTaggert while Beast & Forge work on a cure for Wolfsbane and Archangel leads Cannonball in a Danger Room flying lesson. As Storm walks the grounds, Gambit approaches her, eager to return to their former lifestyle as thieves, but Storm insists the team needs her. Later, Psylocke expresses her concerns over her transformed state to Jean, while Gambit and Wolverine spar in the Danger Room, watched by a concerned Jubilee. Wolverine, Puck & Lady Deathstrike get sent back in time to the Spanish Civil War. In Vancouver, Wolverine visits Puck, who's filling in for a friend as a bouncer at a local bar. Meanwhile, Lady Deathstrike attempts to track Wolverine down, starting at Dai-Kumo's abandoned mansion in Osaka, where she ends up killing a pair of cops, learning from their database that Wolverine entered the country from Madripoor. Contacting Pierce, she's returned to Australia by Gateway, then immediately sets out for Madripoor. There, she confronts Tyger Tiger and, by threatening one of the waitresses at her casino, learns that Wolverine is in Vancouver. Just then, he and Puck are fishing, and Wolverine finds a picture of Puck with Ernest Hemingway, along with Inez, a woman whose name Wolverine somehow knows. Puck asks him if he was ever in Spain in 1937, as that's when and where the picture was taken. Wolverine doesn't think so, but says he can almost see the place, just as Lady Deathstrike, back in Australia, orders Gateway to send her to the place that Wolverine gazes upon at that moment. 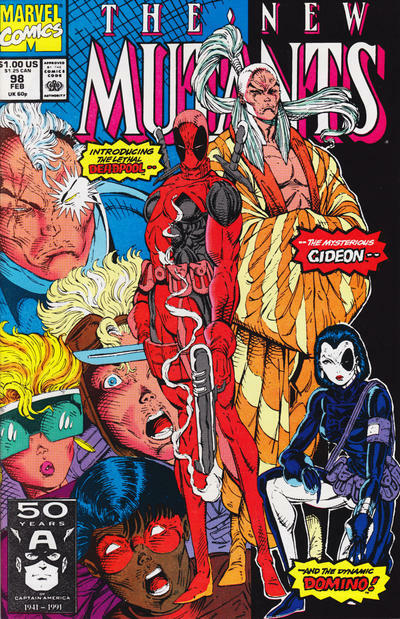 As our year draws to a close, the 90s are in full swing in the X-book, as it's time to meet Deadpool (and to a lesser extent, Domino, and to a much lesser extent, Gideon), say goodbye to two more New Mutants as the series transitions into X-Force, welcome Whilce Portacio, the final future Image artist to get a regular assignment on an X-book, to X-Factor, say goodbye to Chris Claremont on Excalibur, and meet a new Fantastic Four comprised of Spider-Man, Gray Hulk, Wolverine & Ghost Rider (all we're missing is the Punisher!). Unless you've been living in a cave on Mars with your eyes shut and fingers in your ears, you know that this week saw the release of the first (and likely last) full trailer for The Force Awakens. Not surprisingly, I had some thoughts. 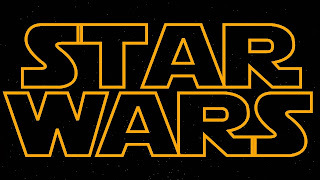 I've seen conflicting reports as to whether or not the music used in the trailer was composed by John Williams, but either way, it's simply fantastic. The way it seamlessly transitions from tinkly and full of mystery as Rey explores the Star Destroyer, to a full-on funeral dirge as Kylo Ren (seemingly) addresses Vader's charred mask, to an ethereal chorus as the Falcon flies over Jakku is pretty astonishing. And I love that the Falcon shots sample the music from the very end of Empire Strikes Back (the "Rebel fleet" cue), which is a great little melody that doesn't get reused often enough. 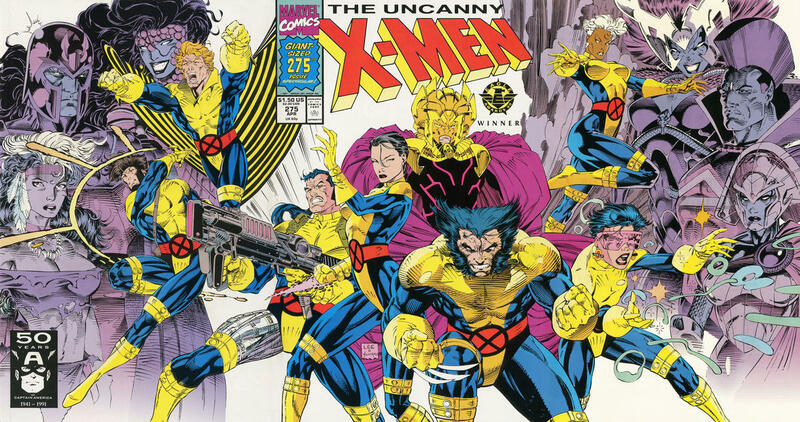 The X-Men go on trial in Genosha. Public sentiment in the US is mixed as the X-Men are put on trial in Genosha. 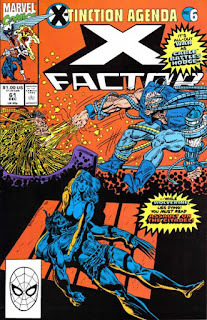 Brought before a judge, the captive X-Men, New Mutants and X-Factor are told they are subject to Genoshan laws, and if found guilty, will be put to death. The Chief Magistrate makes them an offer on behalf of the president: in place of the trial, they can willing submit to the mutate process. Speaking for everyone Jean refuses, and in the wake of an attack by Wolverine, the judge remands the captives to Hodge's custody. 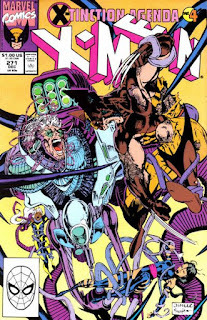 Hodge proceeds to torture and torment the mutants, removing both Forge and Cable's bionic limbs, prompting Psylocke to cry out that she's had enough and will accept the president's offer. Hodge is suspicious, but Havok intervenes, insisting she's under the Genegineer's care now. 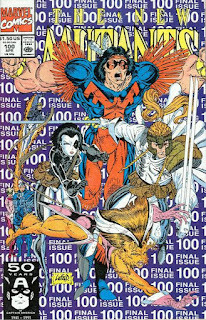 As Hodge proceeds to pit Wolverine and Archangel against one another, Jubilee, Boom-Boom and Rictor spot the Genegineer and a mutate creating a secret tunnel, and decide to follow him. I recently read an article from Cracked about anime. The part of this article I thought of when watching the season premiere of The Walking Dead, "First Time Again", was where Daniel Dockery discusses anime series that never have a season break. Daniel posits that season breaks help bad series continue longer than they should. Basically, over the break people forget how bad a series is and\or hope the series will improve next season. 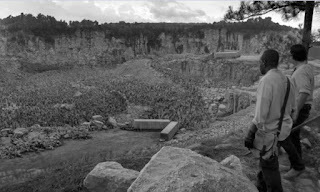 I’m not saying this is the case with The Walking Dead but I think this episode would come off much different if not for the break. Luke & Leia are reunited on the Wheel just as Darth Vader sets course for the same. Leia escapes from the Wheel's executive tower, helped by the fact that most of the Wheel's security forces have been dispatched by Greyshade for special duty. 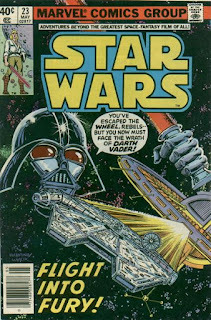 Meanwhile, Luke confronts his fears in the form of Darth Vader, regaining consciousness and escaping from the Wheel hospital in the process. Leia, having retrieved Artoo and Threepio from the casino, reunites with Luke, and he explains that he went unconscious when he felt an evil presence through the Force, confirming that Darth Vader is alive. On the planet Ultaar, Vader investigates a destroyed Rebel outpost, learning from one of the survivors that the attack was carried out by Valance the Hunter. "The Homecoming! (Or How DO You Spend the Night After You've Saved the Universe?)" / "If This Be Juggernaut" / "This World Is Mine"
#427: Thor arrives back on Earth after a lengthy time away, and begins reconnecting with the life of his alter ego, Eric Masterson. 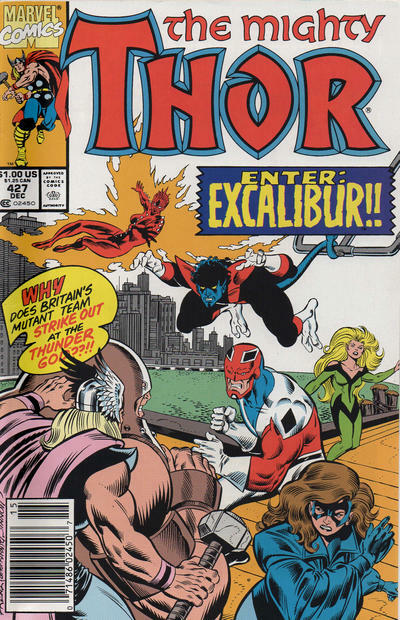 Meanwhile, Excalibur is tasked with recapturing Juggernaut, who was last seen battling Thor in New York. Just then the Wrecking Crew arrive in the city and begin a crime spree. Loki, worried about leaving the Wrecker's Asgardian power unchecked, tasks Enchantress and Ulik with capturing him. 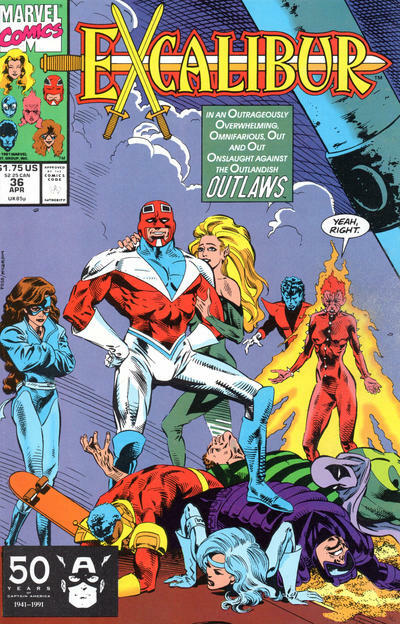 Using a psychic beacon, they lure the Wrecking Crew to the docks, just as Excalibur arrives, drawn to the beacon by Phoenix. 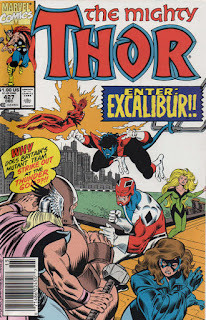 The two groups fight, and when Thor arrives on the scene as well, the Wrecker casts a spell on him, making Excalibur view Thor as the Juggernaut, leading to Shadowcat trapping "Juggernaut" in the concrete dock. #428: A four way melee breaks out between Thor, Excalibur, the Wrecking Crew, and Code: Blue, the special police task force that deals with super-powered situations. When Lockheed discovers the invisible Ulik and Enchantress, driving them off, the Wrecking Crew soon follows suit, after which the illusion of Thor as Juggernaut ends. Havok regains his memories as the rest of the combined X-teams are captured. Hodge gloats over the captured mutants, then orders the Magistrates to take them to their cells. 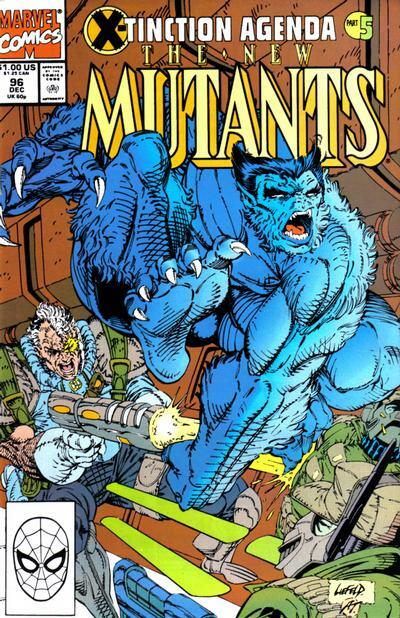 As they pass a group of Mutates, they recognize the transformed Rahne, and Cable flies into a rage. He attacks Hodge despite being unable to use his bionic arm, but Hodge easily overpowers him. 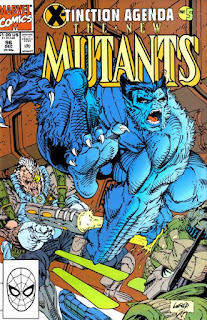 Meanwhile, the rest of the X-Men, X-Factor and New Mutants prepare their assault on the Citadel from an abandoned warehouse, using gear provided by SHIELD and the US government. Back at the Citadel, Jean is placed in a cell along with a powerless, severely wounded Wolverine, and the pair kiss, just as Hodge, hoping to drive a wedge between Cyclops and Jean, had planned. Meanwhile, the Magistrates move on the abandoned warehouse, its location gleaned from the minds of their captives, but they discover the building empty moments before it explodes. Wolverine, Jubilee and Psylocke join the fight in Genosha. In Genosha, Rictor & Boom-Boom are rescued from a group of Magistrates by Wolverine, Jubilee & Psylocke. After Psylocke reads the New Mutants' minds to find out the details of the situation, the group splits up, with Wolverine and Psylocke to infiltrate the Citadel and rescue Storm & Rahne while Jubilee helps get the powerless (and disgruntled) Rictor and Boom-Boom to safety. Meanwhile, the Genegineer appears on a televised debate with Moira MacTaggert, and afterwards, he's attacked in his office by Storm, who plans to kill him. The Genegineer insists that Hodge is her enemy, not him, just as Hodge arrives and saves the Genegineer, demanding that he immediately begin the Mutate transformation process on Storm. Senator Greyshade learns of the Imperial's plans while Han tries to win enough to get his friends off the Wheel. As Stormtroopers corner Luke and the droids, Artoo manages to tap into the computer and lower a containment wall between them. Meanwhile, Leia and Han are similarly cornered by Stormtroopers, but are saved by the arrival of Wheel security forces sent by Greyshade, who take Leia to Greyshade and Han back to the Falcon to help them search it. Elsewhere, Chewbacca manages to reach the upper levels of the Wheel, but when he's confronted by security he attacks, and is ultimately kniocked out and taken to the gladiator pits. 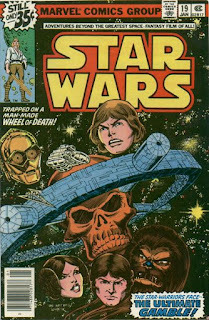 Meanwhile, Han is forced to help search the Falcon for the profits Greyshade believes he stole from the destroyed merchant ship, while Leia tries to explain to Greyshade that Strom is setting up the Rebels in order to enact a takeover of the Wheel. Just then Strom enters his office, enraged that Greyshade interfered in the apprehension of the Rebels and is harboring Leia. Wolverine foils Dai-Kumo's plans and defeats Goro. Tyger Tiger and Archie try to bring Wolverine's body into Japan, but Dai-Kumo, who controls the custom agents, refuses to let them and, believing Wolverine to be truly dead, claims the body for himself, in order to have him buried in a place of honor as a worthy foe. Later, Dai-Kumo and Dr. Malheur create the final batch of Raiden the Thundebolt, then kick off a party in celebration. 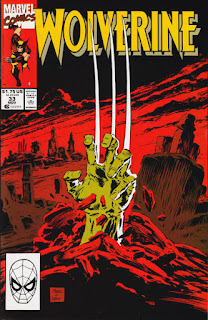 Back at the cemetery, Wolverine, whose death-like state was the result of a drug given to him by Tyger Tiger, wakes up and claws his way out of his grave, where Reiko is still waiting. She directs him to Dai-Kumo's mansion, where the party is in full swing. 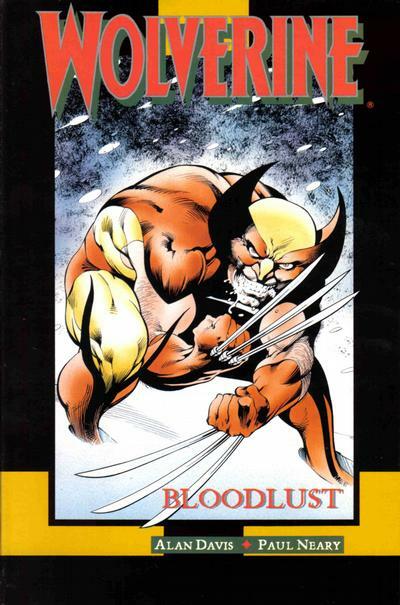 As a demonstration of the Thunderbolt's power, he sets a drugged wolf against a trio of starving tigers, just as Wolverine bursts into the mansion.